In 1987 Border Fine Arts created figurines and accessories depicting the popular Beatrix Potter characters from her books and illustrations. The World of Beatrix Potter collection initially comprised figurines but the range has grown to include musical boxes, picture frames, wall clocks, home and nurseryware as well as money banks and gardenware ensuring there’s something for all ages. 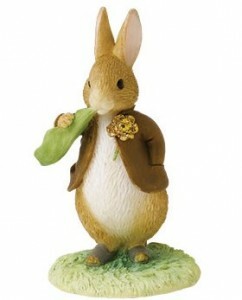 Since its inception the range has featured all the main characters from the Beatrix Potter books including: Peter Rabbit, Benjamin Bunny, Squirrel Nutkin, Mrs. Tiggy-Winkle, Mr. Jeremy Fisher, Jemima Puddle-Duck, Mrs. Rabbit, the Flopsy Bunnies and more. 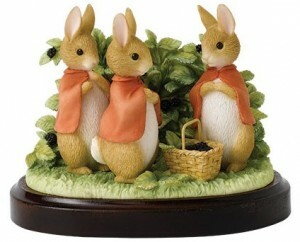 The Border Fine Arts Classics Collection of earthenware Beatrix Pottery figurines launched in 2003, the same year that the Friends of Peter Rabbit Club was formed, its name celebrating the centenary of Beatrix’s first book. Through the regular magazine, Hill Top Tales, collectors can discover more about collectables and Beatrix’s life. In 2018 the Friends of Peter Rabbit Club celebrated its 15th Anniversary. 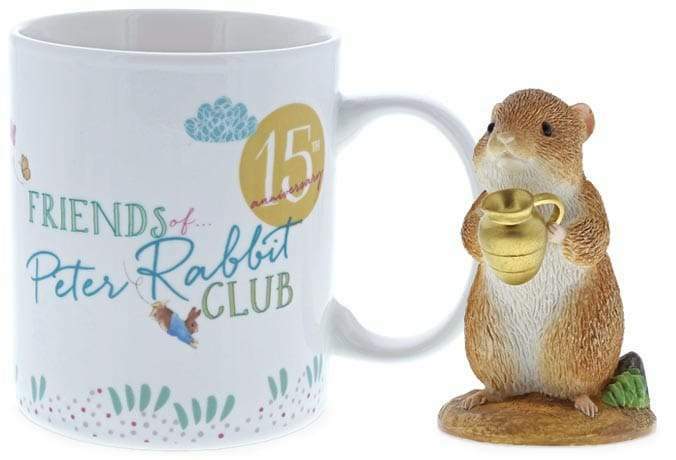 On joining the Friends of Peter Rabbit Club collectors receive the club membership gift which for 2018 are a limited edition 15th Anniversary Members Mug and Timmy Willie. Timmy Willie has been inspired by the illustration from Beatrix Potter’s ‘little book’, The Tale of Johnny Town-Mouse when Johnny has come to visit Timmy Willie and has gone outside to to get a little milk from the cows. The Tale of Johnny Town-mouse is set in the Lake District with Johnny living in the town of Hawkeshead and Timmy has his home in Sawrey garden, the tale was first published in December 1918.